For a more detailed reading list for progressive study, please see the library page. In the forty years since its original publication, Zen Mind, Beginner’s Mind has become one of the great modern spiritual classics. Suzuki Roshi presents the basics—from the details of posture and breathing in zazen to the perception of nonduality—in a way that is not only remarkably clear, but that also resonates with the joy of insight from the first to the last page. 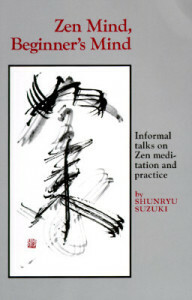 The material for Not Always So was based on thirty-five of Shunryu Suzuki’s later lectures—when he knew he was dying—and was compiled and edited by Edward Espe Brown, one of his foremost students. Originally published in 1989, Everyday Zen offers a collection of Joko’s warm, engaging dharma talks which are explicitly concerned with the relation of Zen practice to everyday life and all that arises, including love, relationships, fear, ambition, and suffering. Returning to Silence also offers a commentary on “The Bodhisattva’s Four Methods of Guidance” from Dogen Zenji’s Shobogenzo, which speaks in depth about the appropriate actions of those who guide others in the practice of the Buddha Way. 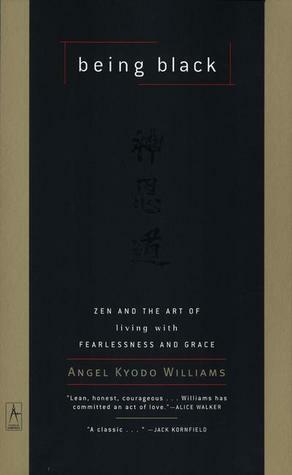 In Being Black, angel Kyodo williams shares personal stories, time-tested teachings, and simple guidelines that invite readers of all faiths to discover how to step into the freedom of a life lived with fearlessness, grace, and fluidity. Under her effective touch, such concepts as Bodhisattva Vows, Pure Precepts and the Eightfold Path become accessible possibilities for a better everyday life. Williams was born in New York City in 1969. She is an ordained Zen priest, the Spiritual Director of the meditation-based New Dharma Community and founder of the Center for Transformative Change in Berkeley, California. Williams has stated that she wrote Being Black to introduce more people of color to Buddhist principles and that she sought to use Buddhism’s “profoundly anti-elitist, anti-authoritarian, and anti-sectarian essence” to revitalize black identity politics and practice in America. 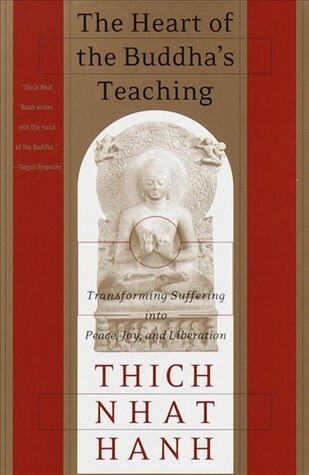 In The Heart of the Buddha’s Teaching, Thich Nhat Hanh introduces the reader to the core teachings of Buddhism including: the Four Noble Truths, the Noble Eightfold Path, the Three Doors of Liberation, the Three Dharma Seals, and the Seven Factors of Awakening. With poetry and clarity, Nhat Hanh focuses on the nature of suffering and its role in creating compassion, love, and joy. Buddhism Plain and Simple offers a clear, straightforward treatise on Buddhism in general and on awareness in particular. Steve Hagen presents the Buddha’s teachings in everyday, accessible language. Steve Hagen is the founder and former head teacher of the Dharma Field Zen Center in Minneapolis, Minnesota, and a Dharma heir of Dainin Katagiri-roshi. Switching between anecdotes of her own journey in Buddhism and advice on how teens can apply the Buddha’s teachings to their lives, Winston offers a personal and thoughtful introduction to Buddhist thought and practice. In Wide Awake, the fundamental tenets of Buddhism are introduced through the lens of adolescence: finding karma at a high-school basketball game or promising that metta (loving-kindness) can free teens from anger toward siblings and parents. Both teens and adults may appreciate and benefit from this lucid manual. Diana Winston is the Director of Mindfulness Education at the UCLA Mindful Awareness Research Center (MARC), where she teaches mindfulness to the general public, health professionals, and educators. She has been teaching mindfulness nationally since 1998 and is a member of the Teacher’s Council at Spirit Rock Meditation Center and founder of the Buddhist Alliance for Social Engagement (BASE) Program and the former associate director of Buddhist Peace Fellowship. 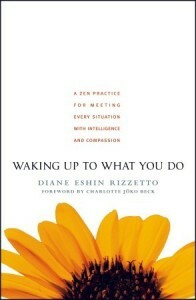 In Waking Up to What You Do, Diane Rizzetto presents a simple, effective practice for meeting every moment of one’s life with mindfulness, using the Zen precepts as tools to develop a keen awareness of the motivations behind every aspect of one’s behavior—to “wake up to what we do”—from moment to moment. In Being Upright, Anderson writes: “In a sense this whole book is about how to protect and bring the spirit of compassion to complete maturity by being upright, which is to receive, practice, and transmit the great bodhisattva precepts.” A skilled storyteller, Anderson takes the reader beyond the conventional interpretation of ethical precepts to the ultimate meaning that informs them. Reb Anderson, Tenshin Roshi is a lineage-holder in the Soto Zen tradition. Born in 1943 in Mississippi, he grew up in Minnesota. In 1967, he quit his advanced studies in mathematics and Western Psychology and came to the San Francisco Zen Center where he practiced with Suzuki Roshi, who ordained him as a priest in 1970. Anderson received dharma transmission in 1983 and served as abbot of San Francisco Zen Center’s three training centers from 1986 to 1995. Anderson continues to teach at Zen Center and lives with his family at Green Gulch Farm. In Cutting Through Spiritual Materialism, the Tibetan meditation master Chögyam Trungpa Rinpoche highlights a common pitfall to which aspirants on the spiritual path may fall prey: spiritual materialism. The universal tendency, Trungpa asserts, is to see spirituality as a process of self-improvement—the impulse to develop and refine the ego when the ego is, by nature, essentially empty. “The problem is that ego can convert anything to its own use,” Trungpa writes, “even spirituality.” Trungpa’s incisive, compassionate teachings are aimed to assist the reader in waking up from this trick played on oneself, and to offer what Trungpa views as a far brighter reality: the “true and joyous liberation” that inevitably involves letting go of the self rather than working to improve it.